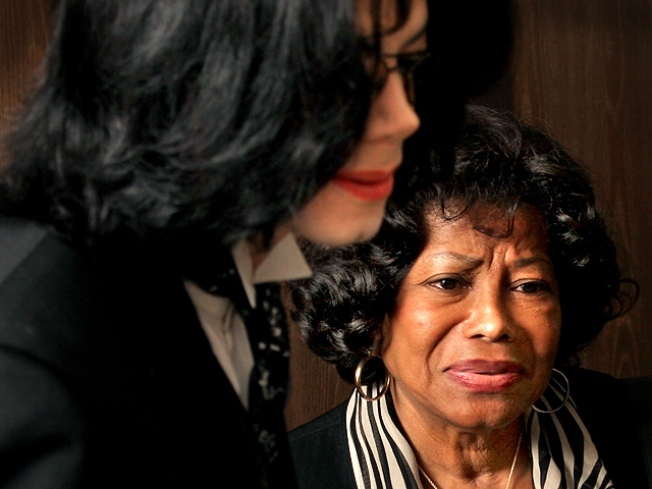 King of Pop's mom says it's too soon for her to see "This is It"
Katherine Jackson says its too soon to see the film made about her son's last rehearsals. As millions of fans worldwide anxiously await the release of Michael Jackson's "This Is It" in theaters on October 28, the King of Pop's mother, Katherine Jackson, and sister La Toya Jackson spoke to Access Hollywood about the upcoming final chapter in Michael's legacy. La Toya sat down with Access' Billy Bush to watch some of the behind-the-scenes footage from the upcoming documentary for the very first time, including a 50-year-old Michael teaching his 20-something dancers the steps for "Bad." "When you saw Michael teaching these kids to dance, I saw the emotion kick in," Billy told La Toya. "He's just an incredible person. I just always like to speak of him like he's still with us — just an incredible talent. To see the love and the joy that he gets out of when he performs and how we're going to miss him immensely, it's just so moving and so touching," she said. "I am pleased to see him mentoring, but I do know, however, Michael likes everyone to see him at his best and this is not a full-out rehearsal for him," she continued. "There's so much more to him. The energy he puts behind him, I do not see it there. But it's good to have that as a memory as well." And while she was pleased to see her brother passing on his talents to the performers around him, viewing the "This Is It" clips was all La Toya cared to see of the film – at least, for now. "I have no plans to see it," she admitted. "It's a bit too soon for me. It really is." In fact, it's a sentiment also echoed by Michael's mother, Katherine, who exclusively spoke with Access Hollywood on Tuesday night following the "Dancing With the Stars" tribute to her son. "I don't think I can bear to look at it right now," Katherine said of the film. "But eventually in time, I will watch it." But as far as the "Dancing" tribute to Michael, both mom and sister, as well as brother Jermaine Jackson, who were all on-hand, said it was a touching performance in honor of the King of Pop. "I loved it and I thought they did a really wonderful, beautiful job," Katherine told Access. "I felt great because to see the tribute through dance was just a great feeling," Jermaine added.